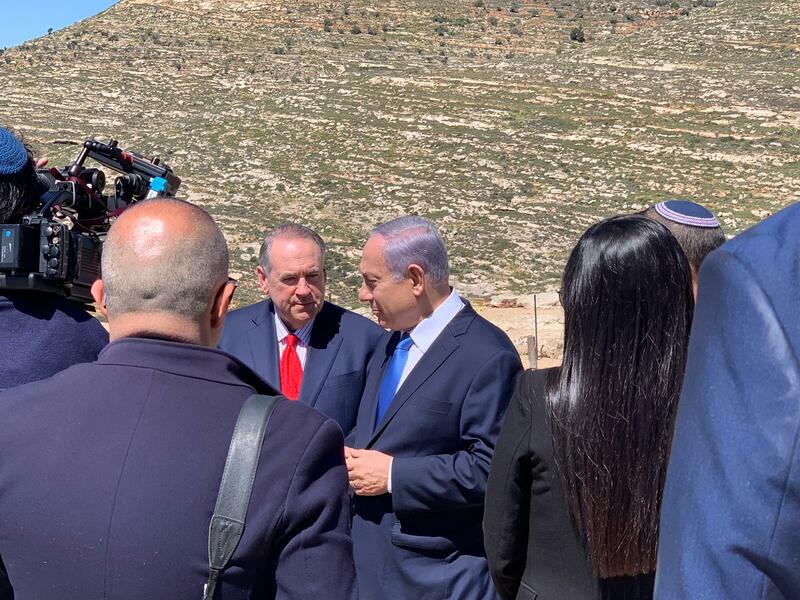 Prime Minister Benjamin Netanyahu, toured ancient (Tel) Shilo together with former Arkansas Governor Mike Huckabee and Binyamin Regional Council Chairman Yisrael Gantz, on Tuesday morning, March 19, 2019. 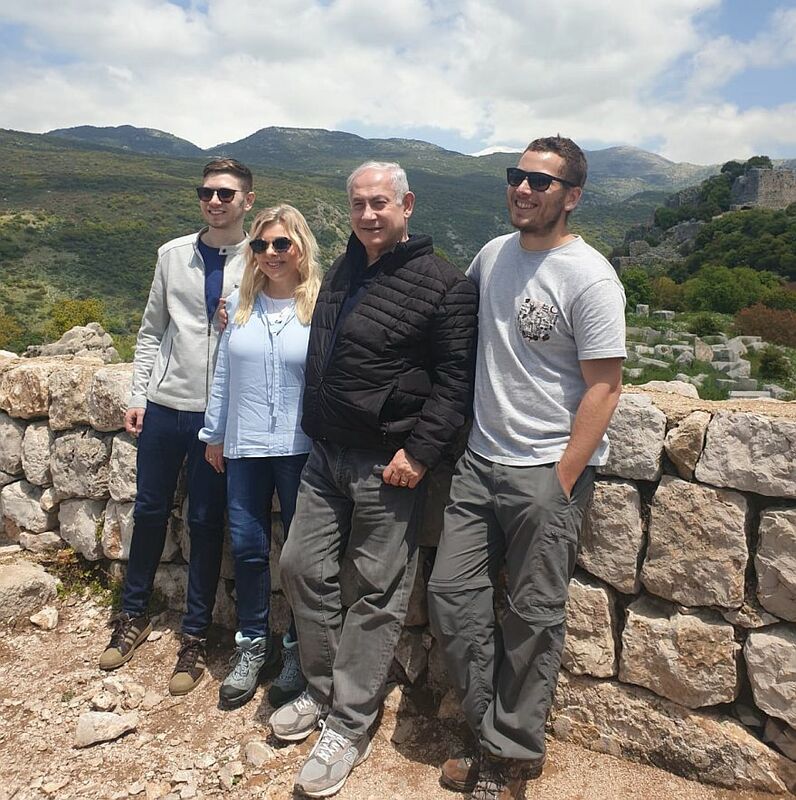 Prime Minister Netanyahu said, “I am very excited to be here. I came here for the first time in 1967, right after the Six Day War, as a young soldier. 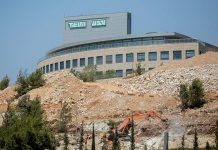 I remember that during navigational exercises, I went to Tel Shilo to see ancient Shilo, the capital of Israel. Here, it has revived. 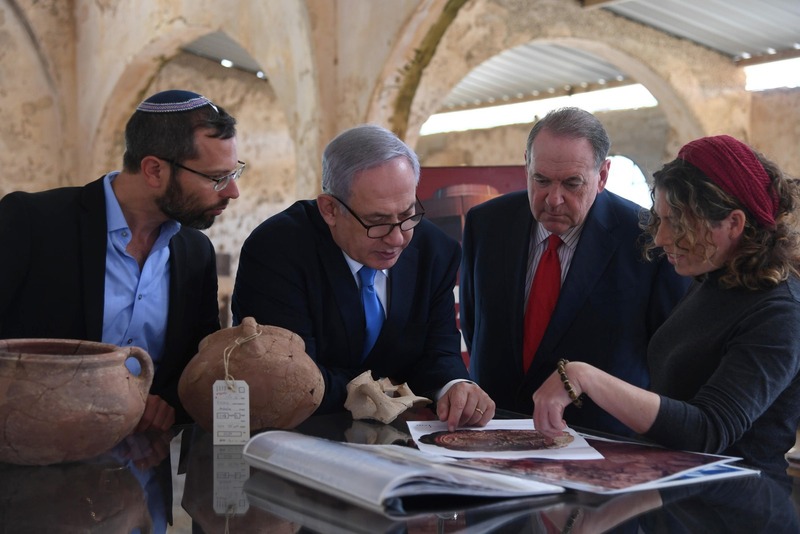 Under the heritage plan, we established here a visitor center so that every Jew and every tourist in Israel can come and see our first capital. Prime Minister Netanyahu, former Gov. Huckabee and Binyamin Regional Council Chairman Gantz planted trees at the site.